Most startups eventually need a robust solution for storing large amounts of data for analytics. Perhaps you’re running a video app trying to understand user drop-off or you’re studying user behavior on your website like we do at Credible. You might start with a few tables in your primary database. 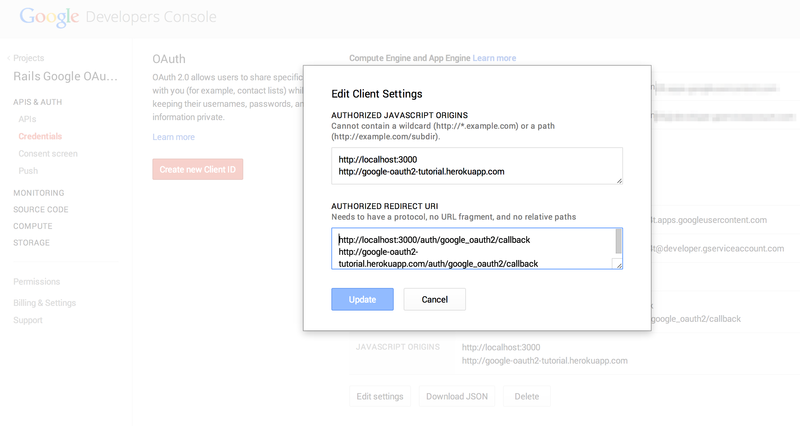 Soon you may create a separate web app with a nightly cron job to sync data. Before you know it, you have more data than you can handle, jobs are taking way too long, and you’re being asked to integrate data from more sources. This is where a data warehouse comes in handy. It allows your team to store and query terabytes or even petabytes of data from many sources without writing a bunch of custom code. In the past, only big companies like Amazon had data warehouses because they were expensive, hard to setup, and time-consuming to maintain. 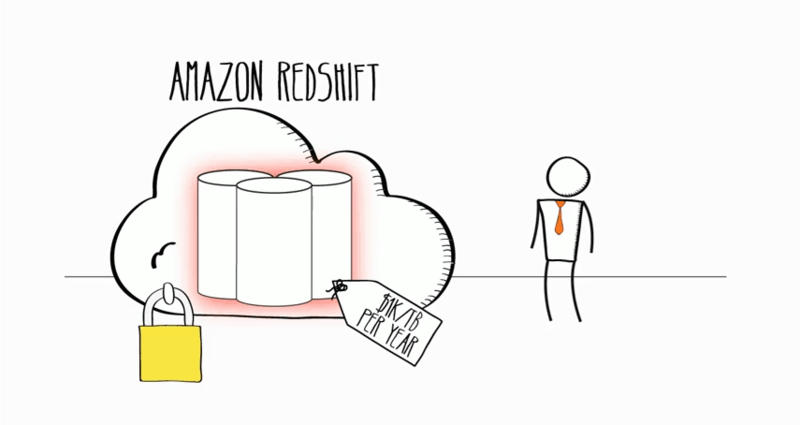 With AWS Redshift and Ruby, we’ll show you how to setup your own simple, inexpensive, and scalable data warehouse. We’ll provide sample code that will show you to how to extract, transform, and load (ETL) data into Redshift as well as how to access the data from a Rails app. I created a tutorial for Redshift and Ruby here and wrote about it on our new engineering blog. This will configure your SSH identities and easily switch your .git/config files between accounts. Hope this saves you time and headache. 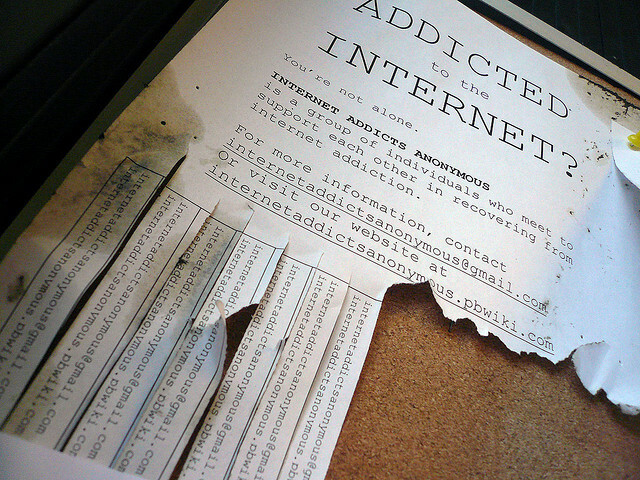 Let’s face it: the Internets are a mess. In switching from Google Reader to Flipboard (since Larry’s pulling the plug soon), I’ve been forced to take stock of my online identity and content consumption habits. We can do better than this, tech people! I’ve recently changed jobs. Naturally, I updated my LinkedIn profile in 30 minutes. But then my Twitter profile also needed to have my title and company changed. And then I noticed my blog is wrong as well. And finally I’m left feeling like the Internets are broken because I don’t know what else needs to be changed. These are the variations of my identity floating out there. This is easy compared to usernames and passwords. Some companies are trying to solve this problem in different ways like Gravatar with profile images and OnePassword for logins. Hoever, there’s a common stupid notion that a big player like Google or Facebook should own all of it. They fight to segregate and own versions of our online identities. I’m tired of these winner-take-all wars that hinder progress. The Gravatar model is the way to go. Profile information in one service that’s simple to use. Someone’s probably already built this for profile info but people have to jump onboard this free one-stop shop concept bandwagon for this to be the norm. Information is now cheaper than dogfood with horsemeat. There’s a lot of it and no one’s peddling the equivalent of Atkins or South Beach Diets…yet. There are primary sources like Techrunch and then secondary sources like Facebook, Twitter, LinkedIn, etc. There are curated feeds like those provided by the likes of Flipboard or even feeds of feeds like Alltop. I can get the same article from many different channels and pictures or videos to entice me to keep consuming. Very quickly I get a headache. And I haven’t even turned Push notifications on. Facebook used to impress me with their filtering but now it’s just an exercise in branded **** avoidance. Twitter’s branded **** isn’t as bad yet but they just point the firehose at you with no regard for human life. Startups like Flipboard look like they’re trying to do some filtering but so far it seems like they’re more obsessed about how to make everything look like a magazine (suggestion: not everything should be in magazine format). Both are tough problems whose best solutions require innovations that companies and markets don’t excel at: standardizing services, sharing data freely, and working together towards a larger goal. Take Amazon as a microcosm of the tech world. Jeff Bezos sends out a memo. He decrees that all departments must now define APIs, share data with ease through these APIs, and use this infrastructure to create AWS. This is a pretty loose interpretation but bear with me. Now imagine if Facebook, Twitter, Google, etc. were merely departments of one large company that wants to help people manage their online identities and curate their 2000 daily calories of content. LinkedIn handles the initial update. My friend sees that I changed my job via Facebook a few seconds later only because he’s a close friend. Moo asks me if I want new business cards. Google switches my work email over to the new domain. Granted some of this would be creepy by today’s standards but it illustrates reasons why it’s all a mess. Wouldn’t it be nice for companies and markets to share a purpose or two? 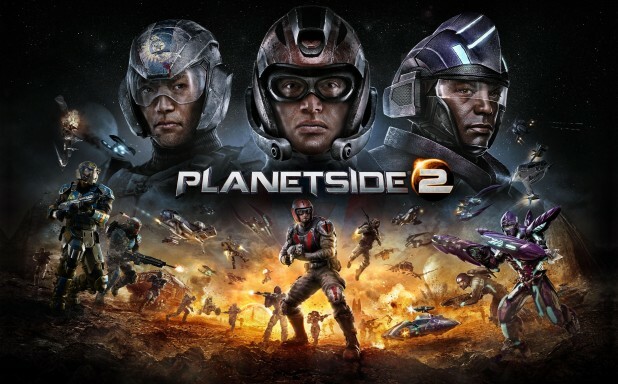 If you haven’t heard of Planetside 2, it’s about time you got acquainted. It’s a new kind of game described as MMOFPS (massively multiplayer online first person shooter). It’s currently in beta with a launch date next month but most everyone would agree that there’s no way in hell it will be ready by then. Me, I’m confident they’ll be fine because they’ve got elements startups need to emulate. During the beta, their servers are up from 6am until midnight during the week and 2am until midnight on the weekends. What happens during those few magical hours? They’re looking at data (e.g. how many sniper shots were fired in grid location L5 against main battle tanks) They’re reading the thousands of posts on their forum to distill wisdom. They’re coding away like mad. Welcome to 1-day release cycles. Mind you, they’re not just making minor tweaks. One day, after players had complained about a primary game resource, they just removed it. They iterate on their product really quickly and aren’t afraid to make big changes. If you heard “Sony Online Entertainment (SOE)”, you would probably think about stodgy old men sitting around, smoking cigars. I’m impressed by their tenacity when dealing with clients. Sure, they have a website and a forum and the social media accounts. But then they go beserk with weekly live streaming events called Friday Night Ops. The President of SOE, John “Smed” Smedley, routinely posts on the forums and at first I thought he was a dev. They have a youtube show where they talk about Planetside news and show off fan-produced content. They have personalities like Matt Higby and Margaret Krohn who really know the game and community and are everywhere. Battlefield, Call of Duty, Halo–they all have limits for the number of players on a single player. Typically, it’s 32 or 64. On planetside, it’s 2000. That’s two orders of magnitude, folks. Website where you can see every player’s configurations and analytics? Check, and it’s free. Mobile and tablet apps? Check. Every game mechanic you’ll find in the other top FPS’s? Check. Graphics that will make players broke and computer makers ecstatic? Check. Usually, startups should focus on doing one thing really really well. But sometimes, you just need to go BIG. A recent HBR video spurred me to think about conflict. Society teaches us to avoid conflict, which is a decent general survival strategy; however, it benefits us to understand why it’s natural and good–especially in a startup. Conflict is borne from differences. As a people, we’re differentiated by gender, race, ethnicity, education, religion, politics, etc. It’s why we have such a rich variety of cultures and individuals. It’s how we get Picassos and Einsteins. But it’s also how we get serial killers. Each of us has a unique point of view and a rich history of experience that shapes how we think. In a startup, you’ll have a group of people who try to use the sum of this knowledge and experience to make decisions that will ultimately decide whether or not the company survives. The personalities of this group is self-selected from the passionate and risk-taking part of society. Furthermore, startups are usually starved for resources, which inevitably leads to hard prioritization decisions. If you don’t fight for your part, who will? Without conflict, a startup team is missing voices. If people don’t fight for their thoughts and beliefs, the best solution to a problem may never have been presented at all. People are typically poor at making complex decisions individually. If you have an frontend engineer, a backend engineer, and a platform engineer all discuss a problem, they’ll attack it from different angles and bring a broader set of solutions. If everyone’s a backend engineer–well, it’s really about covering all the bases. Granted, this is the optimal case. If you have conflict that focuses on personal grudges that taint every discussion, that’s not gonna help. If you have people who enjoy conflict for the sake of conflict, then watch out. If you a wide range of talents (A vs B vs C players), this can make it more challenging. They key is to realize *why* there’s conflict. If you know that the guy across the table doesn’t agree with you because your goals aren’t aligned–that could be an easy road block to remove. If you recognize that everyone’s fighting for the same finite resources–that could be opportunity to reach common ground. Whatever it is…understanding the other parties in the discussion is the key to making good come out of conflict.